The newly elected 116th congress needs to hear from you. 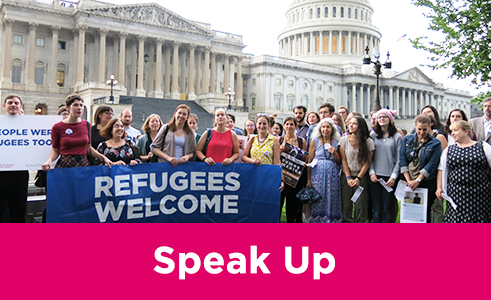 Click here to send a message asking your Member of Congress to do everything they can to stand up for the rights, dignity, and safety of refugees and asylum seekers. Many of the people at the U.S.-Mexico border are fleeing extreme danger in their home countries. Learn about ways to take action, including how to volunteer, here. It is up to all of us to combat hate by speaking up when confronted by misinformation and hostility towards refugees. Use this conversation guide to help you in having difficult conversations with family or friends. You can send a message of support to the bereaved and injured families through HIAS’ resettlement partner in Pittsburgh, Jewish Family and Community Services. They will compile the responses submitted and deliver them to all of the families. Let’s care for one another during this difficult time. 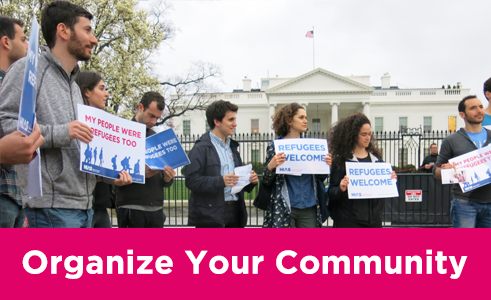 Joining this group is a great way to connect with thousands of other committed individuals across the country, access up-to-the-minute information about the Jewish response to the refugee crisis, and share the actions that you are taking. Click here to join. Here’s how you can stand up to take public action to support refugees in your local community. An effective way to appeal to your Member of Congress about supporting refugees is by setting up a meeting with their district office so that they can hear directly from constituents. Please fill out this form if you are interested in participating in advocacy efforts in your community and we will be in touch soon with additional information. It is more important than ever to display your commitment for welcoming refugees. Print “Refugees Welcome” signs and bring them to rallies and actions in your area. The signs can also be displayed at your home, office, or place of worship. Events in support of refugees are happening around the country. 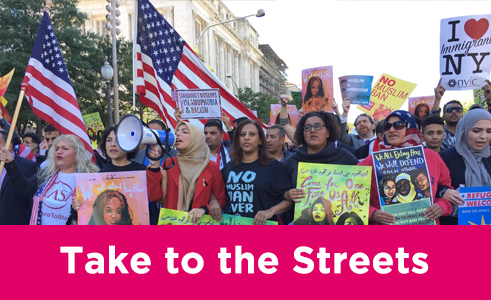 Check out the HIAS events page for upcoming events across North America, and show up to add your voice to the American Jewish movement in support of refugees. One of the most powerful steps you can take to help refugees is to encourage your friends, family and colleagues to get involved. Together, we can build a more powerful response to largest global refugee crisis since World War II. Here are ways you can make sure your community is part of the American Jewish movement in support of refugees. For more information about ongoing opportunities for congregations, visit Make a Difference. 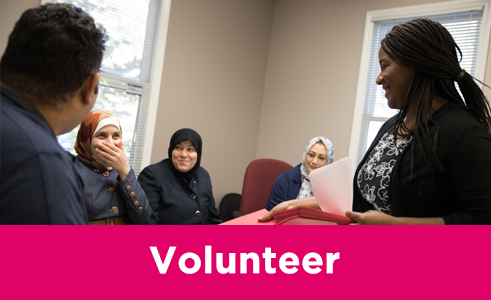 The HIAS Welcome Campaign is HIAS' most powerful network of support - more than 400 synagogues that are taking action for refugees through advocacy, direct service, community education, and tzedakah. Ask your synagogue to join the HIAS Welcome Campaign, and start receving updates and newsletters on how synagogues can make a difference at this crucial time. Local communities can play an important role in providing assistance to those at risk of deportation. Learn about and take steps toward becoming a Sanctuary Congregation. Raise awareness in your community about the global refugee crisis. HIAS has educational materials that you can use in planning programs - and may also be able to send a speaker to your community. Broadcast your support for refugees. Hang a “Refugees Welcome” banner outside your synagoge or community organization. 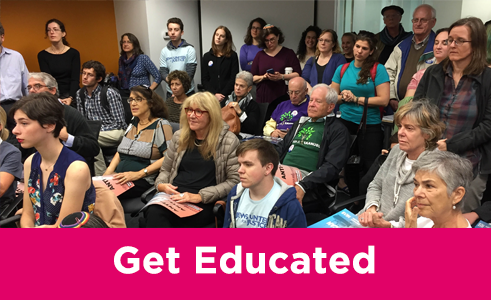 *If you are planning a program, action, or congressional meeting, be in touch with Janna Diamond, Grassroots Campaigns Officer, or Rebecca Kirzner, Director of Grassroots Campaigns - who can support you and provide resources.